Poisk Student Scouting Forces was established on March 7 of 2005. The party is a participant of all-Russian social movement aimed at perpetuating the memory of the fallen while defending the Motherland entitled “Scouting Movement of Russia”. The Forces unit was created in order to assist governmental bodies and local authorities in implementing activity for preservation and perpetuation of the memory of the fallen in various years while defending the Motherland and fulfilling the military and duty call, as well as it is targeted at civic-and-patriotic and spiritual-and-moral education of the university students. The Forces consist of students who care about the destiny of those who sacrificed their lives for the Motherland during the Great Patriotic War. The first commander of the Forces was the initiator of its establishment, student of the Automobile and Tractor Faculty, Andrey Platonov. As part of Chelyabinsk regional division of the Scouting Movement of Russia, the Forces carry out scouting activities in order to reveal unknown war graves and unburied remains; they also identify names of the fallen or names and fates of those who went missing while defending the Motherland, and help searching for their relatives. Scouts of the Forces are searching for remains of soldiers went missing on the battlefields of Kalininsky district of the Leningrad region near the Sinyavinsky Heights (the village of Gaitolovo). Within the years of its existence, the Forces took part in seven all-Russian Memory Watch, during which remains of more than 200 soldiers of the Red Army, state decorations and personal belongings of fighters were found and reburied. Seven death medallions were found. By three of the medallions, names of the fallen soldiers were identified; by two of them, relatives of missing in action were found. In 2018, scouts of the Forces installed a memorial plaque on the site of discovering the remains of sergeant Sergey Perlov and nine soldiers of the Red Army, found in the course of Memory Watch – 2017. 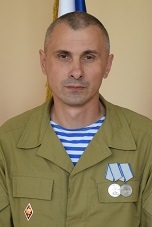 For significant contribution to determining the names of the fallen and the fates of those soldiers who gone missing in action, the first commander of the Forces, Andrey Plstonov, was awarded a decoration “For distinguished scouting activity”. Members of the Forces take active part in meetings with university students and with students of the city schools and talk about activities of the all-Russian social movement entitled “Scouting Movement of Russia”, as well as about operation of the university’s Scouting Forces. For big contribution in development of scouting movement of the Chelyabinsk region and for spiritual-and-moral patriotic education of youth and schoolchildren, scouts of the Forces were awarded a Certificate of Gratitude from the governor of the Chelyabinsk region. Participation of students in the all-Russian social movement entitled “Scouting Movement of Russia” is one of the directions of work of the Extracurricular Activity Department for civic-and-patriotic education of students as well as the university’s contribution to the deed of the Great Victory. Poisk Student Scouting Forces of SUSU announces admissions! We invite all who care about history and destiny of the Motherland to join the Poisk Student Scouting Forces of SUSU. Communicate with fellow scouts from all around Russia at large forums that bring together scouting forces from dozens of regions. Scouting Forces is a concentration point of enthusiasts and like-minded people, who respect the history of their Motherland and the unfadable act of courage of Russian soldiers. Membership in the SUSU Poisk Student Scouting Forces is available for citizens of the Russian Federation, foreign citizens and stateless people who legally stay at the territory of the Russian Federation and who are older than 18. Membership is voluntary and is valid on the basis of a written application. Apply to Room 339 of SUSU’s Main building and join the Poisk Student Scouting Forces. Call us +7 (351) 267 90 90.